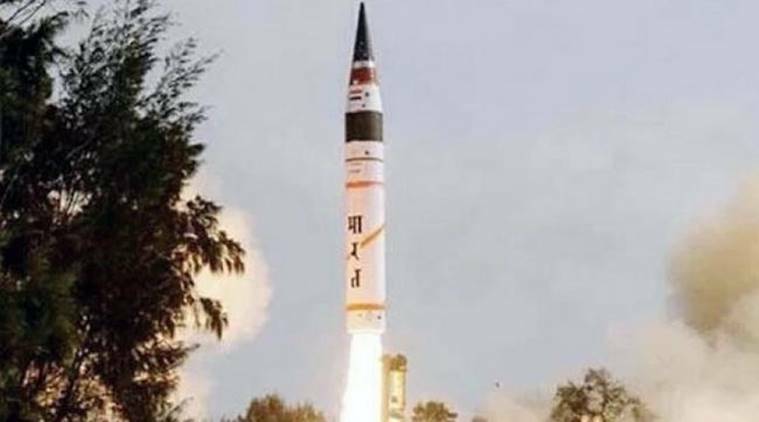 Prithvi Defence Vehicle (PDV) missile has been developed by indigenously by DRDO. It is two-stage missile and both stages are powered by solid propellants. It is designed for engaging targets in exo-atmosphere region at altitude 50 km of earth’s atmosphere. It is guided by high-accuracy Inertial Navigation System (INS) supported by Redundant Micro Navigation System for estimating point of interception. It is a surface-to-surface short-range tactical ballistic missile. It has operational range of 150 km and flight altitude of 35 km. It is quick-reaction, all-weather, all-terrain, highly accurate battlefield support tactical missile with advance manoeuvring capability. It is capable of carrying multiple types of warheads weighing around 200 kg and neutralizing wide variety of targets. LRSAM has long-range engagement capability to penetrate deep water and land to intercept all types of aerial targets like subsonic and supersonic missiles, fighter aircraft, maritime patrolling aircraft (MPA), helicopter and sea skimming missiles. It is capable of countering newest generation anti-ship missiles. Indian Navy has decided to equip its all naval ships such as INS Kolkata, INS Kochi, and INS Chennai guided missile destroyers with Barak 8 LRSAM for air and missile defence. Barak 8 LRSAM has been jointly developed by DRDO and IAI, Israel to be launched from ship. It possesses high degree of manoeuvrability at target interception range. It has maximum speed of Mach 2 with maximum operational range of 70 km (which has been increased to 100 km). 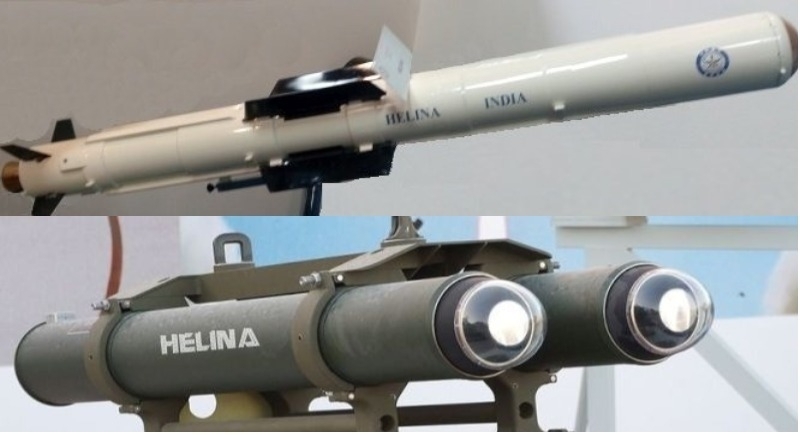 HELINA is helicopter launched version of NAG ATGM(Anti-Tank Guided Missile), designed and developed indigenously for Indian Army under integrated guided missile development programme (IGMDP). 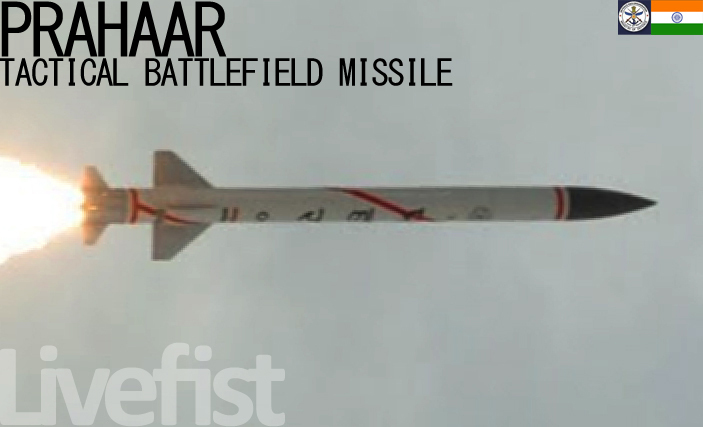 It is manufactured by India’s sole missile producer, state-owned Bharat Dynamics Limited. It works on “fire and forget” principle and operates in Lock on Before Launch mode. 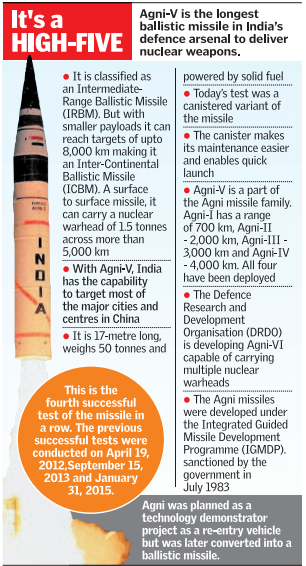 It has operational range of 7-10km (after air-launched). It is equipped with highly advanced Imaging Infrared Radar (IIR) seeker along with integrated avionics. It also possesses advanced passive homing guidance system. It has been designed mainly to destroy modern main battle tanks and other heavily armoured targets. Spike is an Israeli anti-tank missile. It is man-portable fire-and-forget missile. It is an anti-tank guided missile. 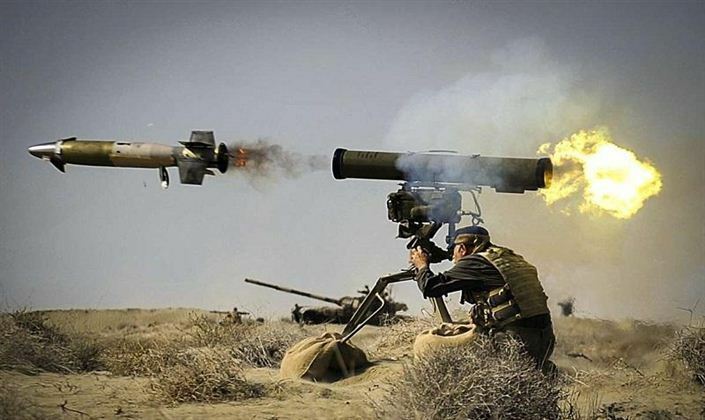 India is likely to soon finalise with Israel purchase of a batch of Spike anti-tank guided missiles. Astra is capable of engaging targets at varying range and altitudes allowing for engagement of both short-range targets (up to 20 km) and long-range targets (up to 80 km) using alternative propulsion modes. It is indigenously developed by DRDO. It is a single stage solid fuelled missile. It is multi target, multi directional, all weather air-defence system consisting of surveillance and tracking radars.